The summer is time for reflection. Unfortunately, I reflect an awful lot during the school year too, which means I often wind up reflecting on absolutely frivolous things. Enjoy this example. 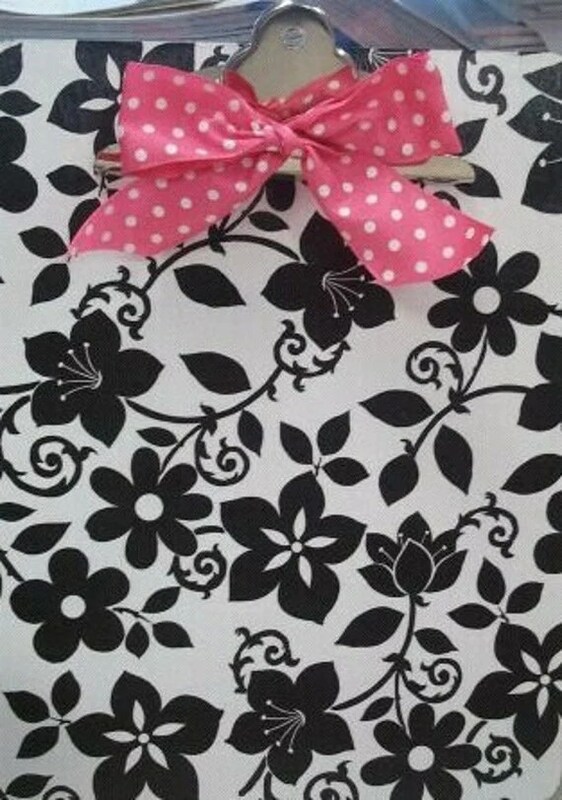 I know that one day soon, my beloved pink-and-black fleur-de-lis clipboard will bite the dust. It’s served me well the past four years, and the only real panic I’ve ever had over losing it was when I left it in the cafeteria on top of the piano during a family math night. Lalala, Miz Houghton misplaced something again. I wish I could share a picture of it with you, but I can’t because it’s nestled on my (SIGNIFICANTLY CLEANER) countertop at school where it always stays (when I’m organized). I bought it at some exorbitant price at City People’s Mercantile shortly into my first year of teaching because I was feeling disorganized and wanted a pick-me-up. When you tap it, it sounds like metal, but a corner of it has chipped, revealing that it’s actually wood. 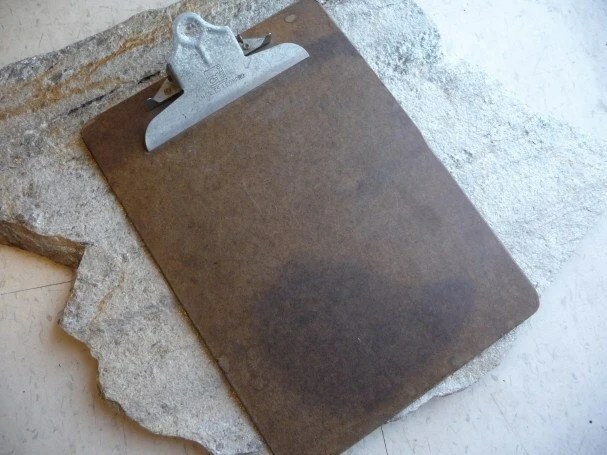 I’ve been pondering my clipboard’s untimely demise for several years now (“hope for the best, but plan for the worst,” my daddy taught me), but most of the options I’ve seen have this inferior shove-it-open-with-your-thumb closure rather than the alligator clip style. 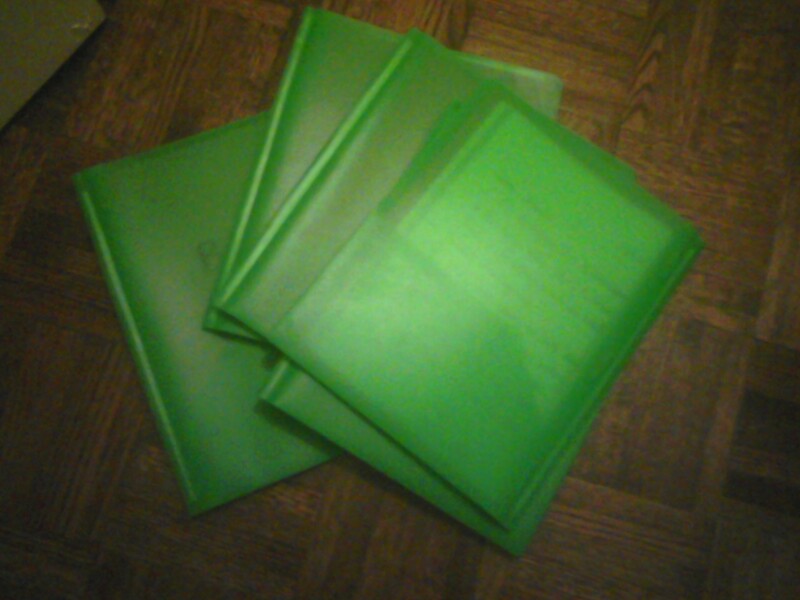 I’ve had clipboards in the former style in my classroom clipboard stock, and they’re always the first to break. 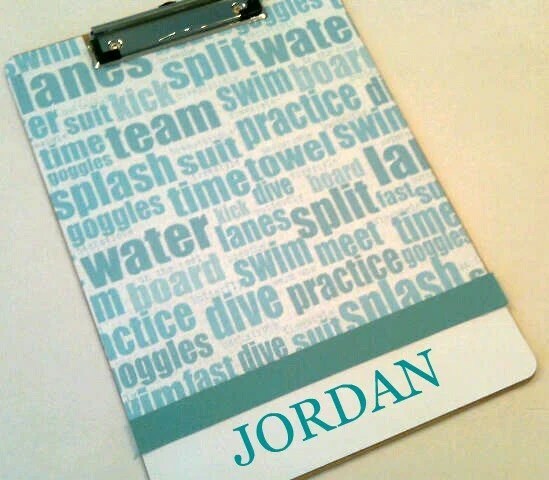 I’ve noticed that Etsy has started to carry more alligator-style clipboards, but I fret the acrylic ones will crack (this also happens to a lot of my students) and that the paper-covered ones will become sticky or disintegrate with use. 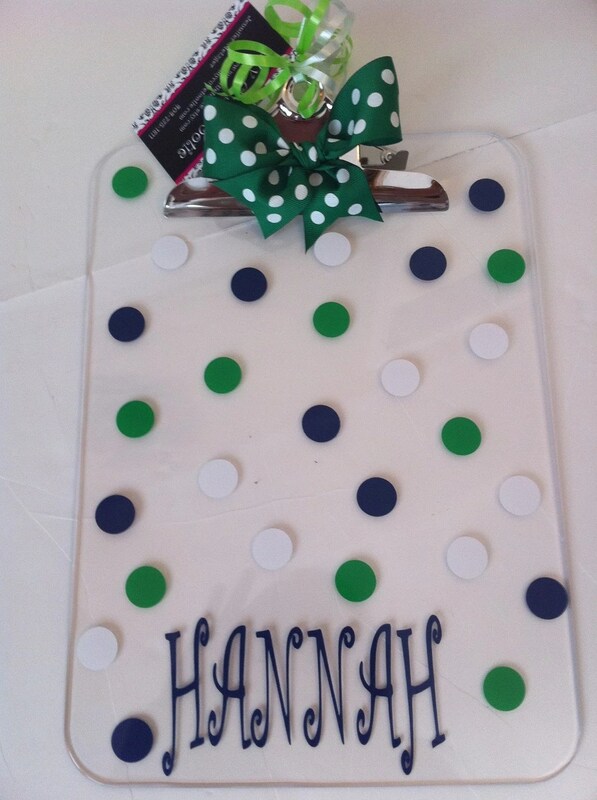 But I feel like vintage for clipboards just means "old." 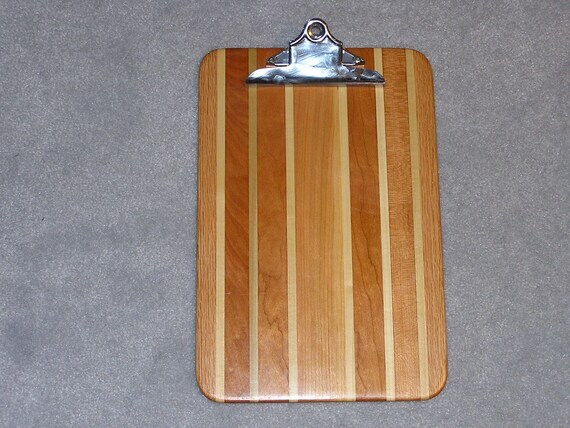 Having whipped myself up into a totally unjustifiable fit of frustration, I finally happened upon THE PERFECT CLIPBOARD. ISN’T IT AMAZING? Feel free to send it to me posthaste. We made this neat video just for you, ladies and gentlemen! Here are the lyrics to our amazing MSP song, inspired by Tin Cartwright. Cannot highlight, but I certainly can circle or cross out. Today I was catching up on our Letters to Ms. Houghton, a weekly homework assignment that I stole from Mrs. Chan where my students write to me on Tuesday and then I write back. One student wrote, in response to my question of what teachers could do to become better at their jobs, that we should talk with our kids about their “deep, DEEP thoughts.” Rather sage advice from a well-spoken third grader. Why so much time passed between Lincoln and MLK — my students thought that they were contemporaries. How Chicano-Latino Americans and Asian Americans were being treated during all of this. The role of power, money, and religion as being at the core of most conflicts. My kids have been incredible. They are able to apply these questions to the text we’re reading and the activities we’re doing, so it’s not like we’re spending all our time going off on birdwalks. They are interested when we watch grown-up documentaries and talking-heavy historical footage. They know that some parts of the past were awful, but they’ve been incredibly mature in not seeking out super-gory details. I firmly believe they understand that the intent of our work together is not merely to discover shocking facts, but to learn from our history and see how we can apply its lessons today. If you’re wondering how I prioritize the physical materials I’d like to have available in my classroom, you might be interested in checking this out. I'd say that summarizes our year pretty well! I’ll admit that I’ve neglected our classroom library as I’ve been chipping away at all the books that need to be processed for the school bookroom. But the boxes of unused books are just killing me, and so I decided I’d spend a good chunk of time this weekend knocking some of these books out. 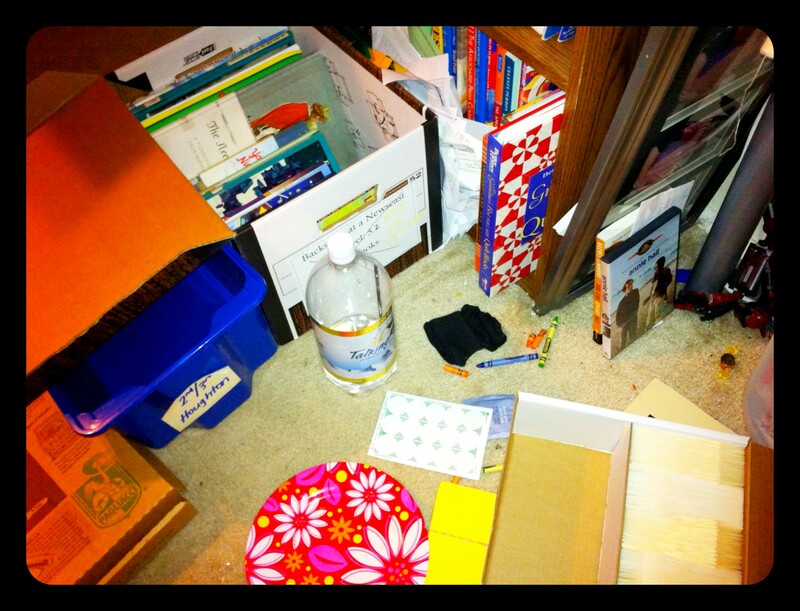 This is usually my home base when I process books. 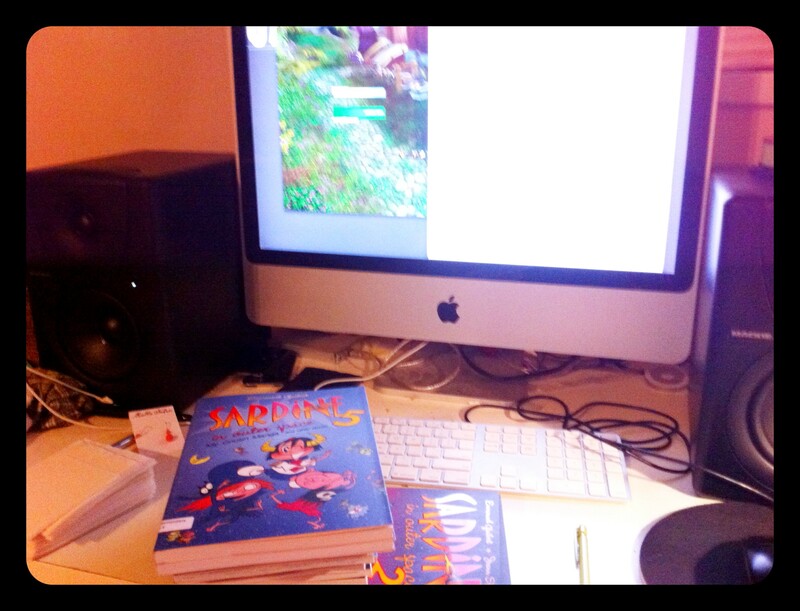 I use Toby’s iMac instead of my laptop because I scrunch over less. Plus, I can queue for random dungeons in World of Warcraft. Stack of books and book pockets. And WOW hidden behind GoodReads. I try to add books to our library as soon as I receive them, but lately we’ve added a ton of new books. You can see I also enjoy eating pizza and drinking fizzy water while I work. 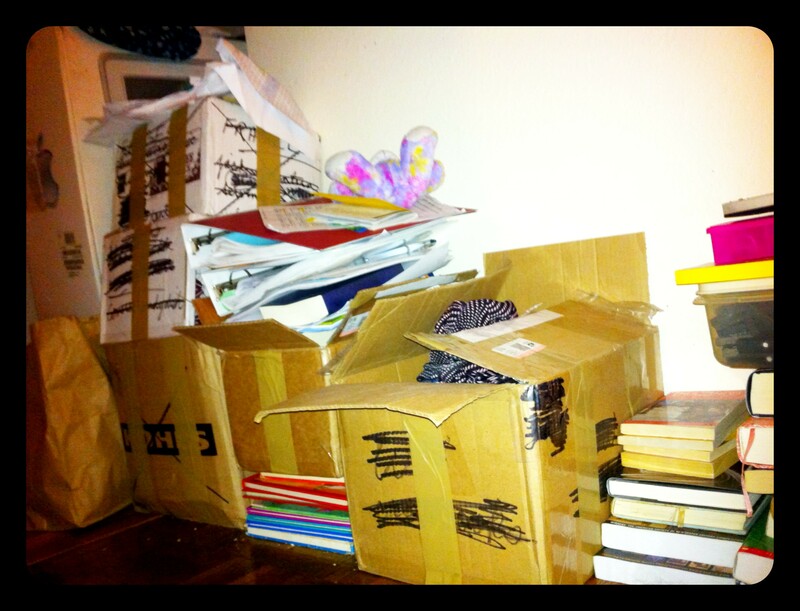 This doesn’t even really put a dent in all the books I need to go through. My parents are still sending me old books from my childhood. After I’ve entered the books into LibraryThing, figured out their AR levels, and made sure they have book pockets and book cards, I set them out in the hallway to be whisked away to school. 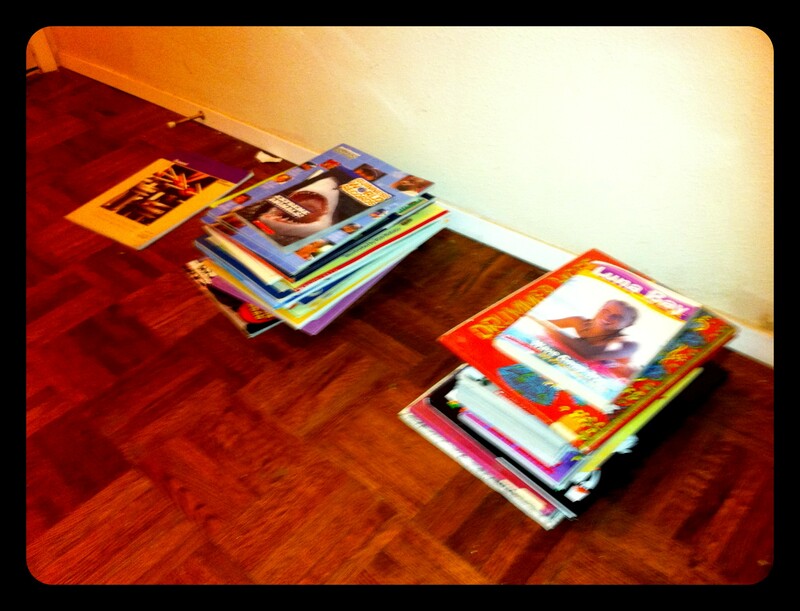 Sound book to send back to the science center, books with no AR level, books that need AR tape. I’m looking to go into Wildwood tomorrow to spruce up our classroom and get these books into book boxes so students can check them out first thing Tuesday morning. Remember that tomorrow is really supposed to be a day “ON,” rather than a day off, so consider participating in a local service project. 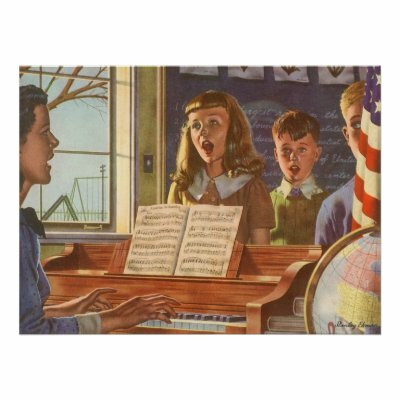 I’ll be serving in a public elementary school classroom, and you should totally join me! 🙂 Oh, speaking of public schools, did you notice the Glee folks thanked public school teachers in their acceptance speech? My first few years as a teacher, I really felt uncomfortable about MLK Day and Black History Month in February. Not because I didn’t want to cover the more complicated parts of our past as a country, but because I didn’t feel equipped to adequately field all the questions I knew would inevitably arise. I didn’t want to just talk about civil rights in a cursory way, but I also didn’t want to inadvertently be insensitive. I also didn’t want my majority-minority Hispanic-American population to feel that I favored studying one branch of injustice over another. We studied Martin’s Big Words (more on this below), but I’ll admit I didn’t really know how to bite off much more than that. Thank you, Katherine Schlick Noe. Back at Seattle U, she taught us about the power of using themed literature units in addressing a larger issue. You can find a ton of sample units here, and specifically, a unit on Standing Up For What You Believe can be downloaded here. Thank you also, to Mr. Chan, who models personal awareness to racial and ethnic issues — really, human issues — on a daily basis, just as a part of who he is as a person. This January, when we returned from winter break, I announced that our theme of the month was going to be “Standing Up for What You Believe In.” We opened the unit by reading Fledgling by Robert Blake. It’s a pretty basic book, but it got us thinking about perseverance. Plus, it was nice for me to start off with an animal book rather than to jump straight into issues of race and class and everything, given the reservations I mentioned above. 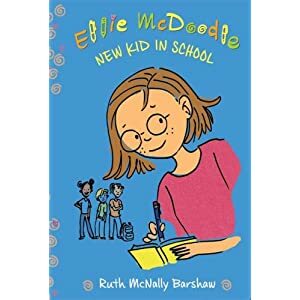 Earlier this year, we read Ellie McDoodle, New Kid in School. There are huge messages of nonviolent protest in the book, and students brought up the idea that you can stand up for what you believe in whether it’s a smaller problem (long lunch lines) or a huge problem (institutionalized racism). The book also introduced our students to King and Gandhi. In our quest to read all the Caldecott winners, we moved on to So, You Want To Be President. As imperfect as our presidents were, we used this book to talk about the fact that many different people have all put their mark on running the country. Effective presidents stood up for what they believed in AND explained their beliefs to citizens. We wondered why so many white guys from log cabins became presidents (a fact mentioned halfway through the book), and I believe this initial conversation sparked a HUGE and fantastic lesson two weeks later on power and why the Jim Crow laws were so difficult to change. 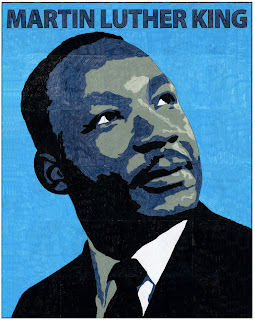 Then, we read Martin’s Big Words, my favorite MLK book. We used the found poem lesson from readwritethink.org, which always seems to be a hit. It seems as though the new link to the lesson plan no longer includes the printable list of quotes that I use in the lesson, but the older lesson plan is here. Martin’s Big Words led naturally into Happy Birthday, Martin Luther King. My students commented that this book didn’t seem quite as fact-filled as Martin’s Big Words, but I think the fact that it was basically a review of what they learned in the previous book encouraged them to ask further questions about discrimination and segregation, which led us to create a giant timeline related to our theme (I’ll post pictures later). Then, Miss Turner was a rockstar and printed out a shared reading mini-book on Martin Luther King, Jr. through Reading A-Z. Thank you! My students loved it, and they’ve been rereading it all week. Pam Munoz Ryan and Brian Selznick are pretty much the best duo on the planet. When Marian Sang is gorgeous and interesting. You can see some early development of a few of Selznick’s themes from The Invention of Hugo Cabret being tested here. Marian Anderson wanted to be an opera singer. That was insanely difficult to do in the early 20th century. But she did it, even though she often had to perform double shows for black and white audience members, and even when she couldn’t find hotels to take her in after her performances. This book is a little long, but we split it into two lessons. You can download a reader’s theater version of this book here. My students also thought that What’s the Big Idea, Ben Franklin? related to our theme because “People thought Ben Franklin was kind of weird, but he didn’t care — he had a lot of good ideas and he used them.” This is one of a whopping two books about Ben Franklin in our school library. Don’t even get me started on the puny state of our poor school library. Sit-In is illustrated by the same man as Happy Birthday, Martin Luther King. It’s not my favorite book ever, but my students were really interested in the Montgomery bus boycott, so I thought this would be a good companion book. I could go on. I’d love to hear your suggestions, too! I haven’t included many chapter books because our chapter book read alouds this year are Federal Way’s Battle of the Books books. Find more MLK books here, courtesy of Betsy Bird. PROTIP: Part of the reason why I turned this into a monthlong unit was because I felt so cheap to bring up MLK two days before his birthday. Another more practical reason to consider planning this unit ahead of time is that ALL the bookstores in the Seattle area were totally sold out of Martin’s Big Words and many other seminal MLK/Black History texts. If Third Place Books would’ve had FIVE copies of Martin’s Big Words, I would’ve bought them all for fellow teachers who asked for a copy. Next month’s theme is probably going to be Persevering in Difficult Times. It should connect pretty smoothly to this month’s unit, but will also include such books as Wilma Unlimited.